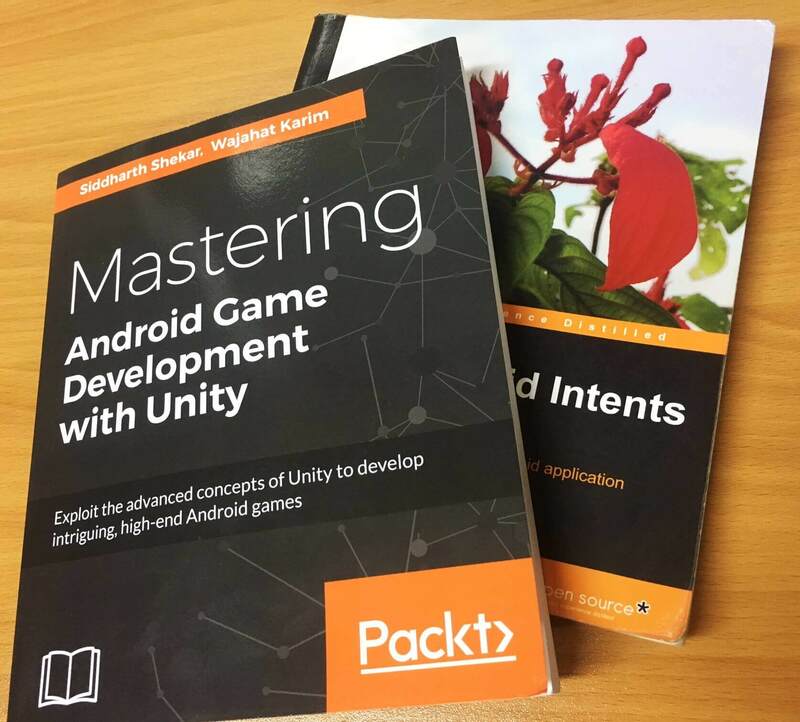 You will begin with the basic concepts of Android game development, a brief history of Android games, the building blocks of Android games in Unity 5, and the basic flow of games. You will configure an empty project for the Jetpack Joyride Clone Game, add an environment and characters, and control them. Next you will walk through topics such as particle systems, camera management, prefabs, animations, triggers, colliders, and basic GUI systems. You will then cover the basic setup for 3D action fighting games, importing models, textures and controlling them with a virtual on screen joystick. Later you will set up Scene for 3D Configuration, create basic gameplays, and manage input controls. 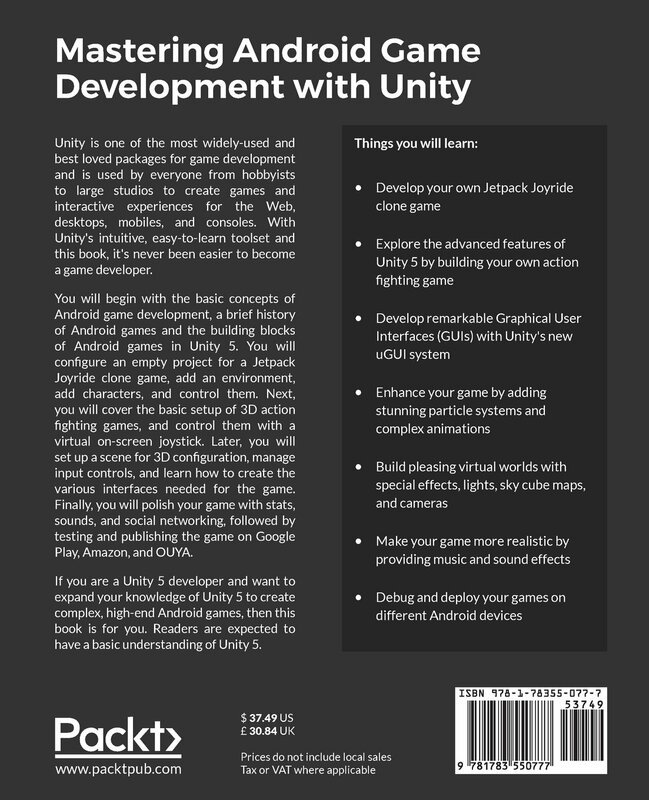 Next you will learn to create the interface for the main menu, gameplay, game over, achievements, and high score screens. Finally you will polish your game with stats, sounds, and Social Networking, followed by testing the game on Android devices and then publishing it on Google Play, Amazon, and OUYA Stores. 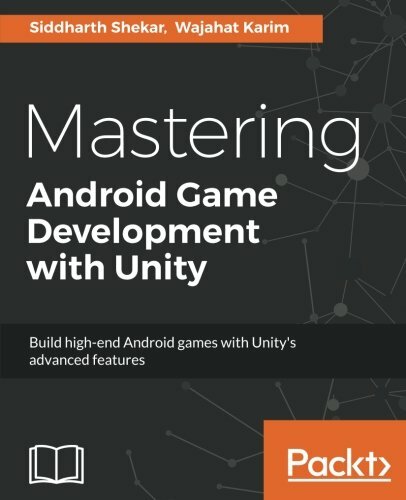 I, and my co-author, wrote a book on game development titled as Mastering Android Game Development with Unity which was published by Packt Publishing (http://www.packtpub.com) on PacktPub store, Amazon, Safari Online, Barnes & Noble Book Store, and Google books. The book has also been distributed in printed copy throughout globally.